When is a sketch done? Sometimes you can add some strokes and colors. 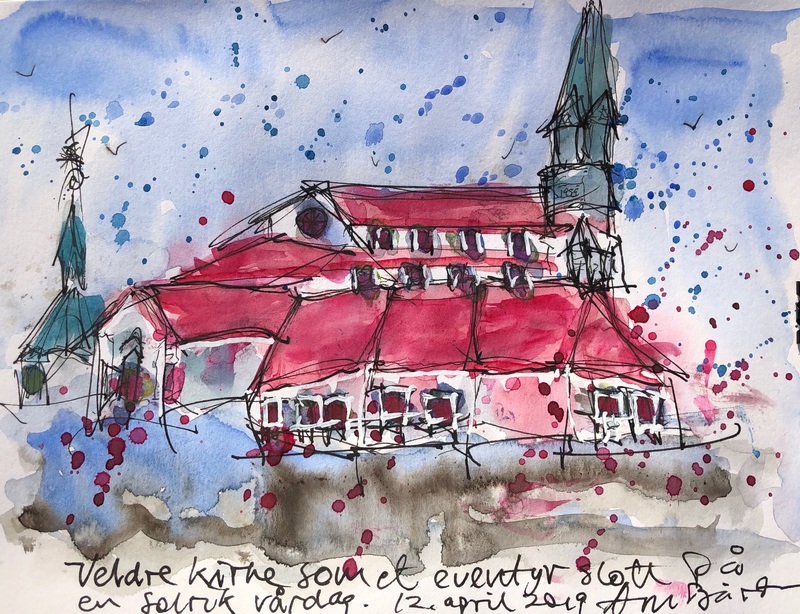 I did that indeed with this one of Veldre Church in Norway.